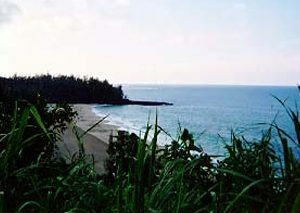 Experience the Majestic Beauty of the Lush North Shore on the Magical “Garden Isle” of Kauai . . . from the Privacy of your own Vacation Condo Rental at the Alii Kai. In an inspiring Setting Featuring Gorgeous Ocean Views and Dazzling Sunsets, your North Shore Oceanfront Kauai Vacation Condo Rental is Nestled on a Bluff at Oceans Edge . . . amidst Lush Tropical Grounds and Rolling Hillside Greenery. the Low-Rise Intimate Complex is just minutes from World-Famous Hanalei Bay and the Dramatic Na Pali Coast. 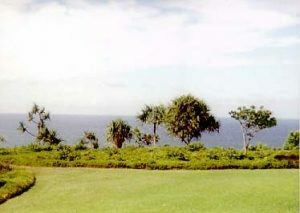 Savor the Views as the Gentle Trade Winds Caress your Senses from the Privacy of your Own Lanai . . . as you Marvel at another Breathtaking Sunset while Listening to the Sound of the Crashing Surf. Your own Secluded Beach is just a short stroll down the Oceanside Bluff . . . Perfect for Swimming, Snorkeling, Surfing & Shelling. 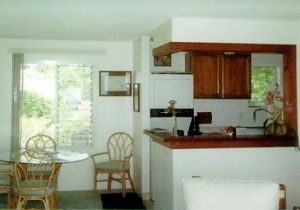 Appointments of your Kauai Vacation Condo Rental feature Fully-equipped Kitchens, In-Suite Washer/Dryers and TV/VCR’s. For Your Added Vacation Pleasure, take a Refreshing Dip in the Pool, Play a Couple of sets of tennis on our Lighted Courts, and prepare your ‘fresh catch’ on our Gas BBQ’s. Shops & Restaurants are just Moments Away. A Fantastic Value at Ocean’s Edge, Your own North Shore Vacation Condo Hideaway awaits . . . at the Oceanfront Alii Kai. 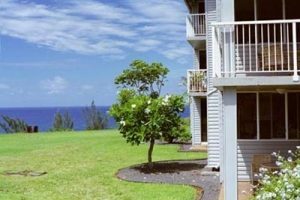 Your Princeville/North Shore Kauai Vacation Condo Getaway Features 2-Bedroom/2-bath Units – Prime Ground Floor and 2nd Floor Locations – that accommodate up to 6 Guests. All Linens & Towels Provided. 2-Bedroom, Oceanfront: $145 – $175. . . A Fantastic Value!